Tribal Police Files takes the viewer on a journey into the action packed and often dangerous world of tribal police officers as they put their lives on the line to keep their communities safe, healthy, and proud. The show follows the officers as they respond to calls, never knowing the challenges that lie ahead. It also tells the intimate and sometimes traumatic stories from the perspectives of both the victims and the officers. 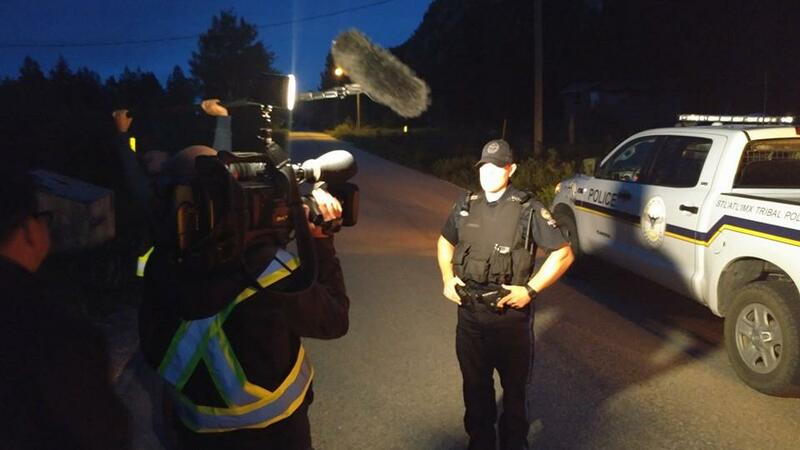 Season one takes us into the remote yet beautiful community of Lillooet, BC, Tribal Police Files tracks the daily call-outs and the community work of officers. From the moment a call comes into the police station the audience will have an unprecedented viewpoint of the perils of a fast paced pursuit or the apprehension of suspect. But Tribal Police Files also takes you into the minds of the police officers who reveal the challenges that come with policing their own community, including prejudice against their families. It also highlights their commitment to taking part in local public events, where they build vital connections with community members. While maintaining a positive tone, this show touches on the historic crimes within First Nations communities that have left many families in crisis. This is a 13 part, half hour documentary series. Each episode includes two stories, from the perspective of two different Tribal police officers. During the run of the series the audience will gain an increasing insight into the person sacrifices and spiritual touchstones of the police officers through intimate interviews mixed with the fast paced action. The cases each officer are working on are shot in documentary style, with camera crew simply following an officer on duty from an observational perspective. There will also be recreation of cases that were critical to the careers of the officers. Tribal Police Files highlights how officers build up communities, rather than tear them apart. Through this show the audience has a window into the passion that drives the police officer to provide this important and often dangerous service for their community. From the perspective of police officers, the viewer witnesses how cultural knowledge makes police work more relevant and successful. This documentary series is unique because it walks the line between illustrating the crises that face some communities, and demonstrating the important and even healing role of the tribal police officers. The human qualities of the police officers are revealed through the on-the-spot and ride-along filming. The show captures not only how First Nations officers keep their communities safe, but help families build towards a healthy and positive future.